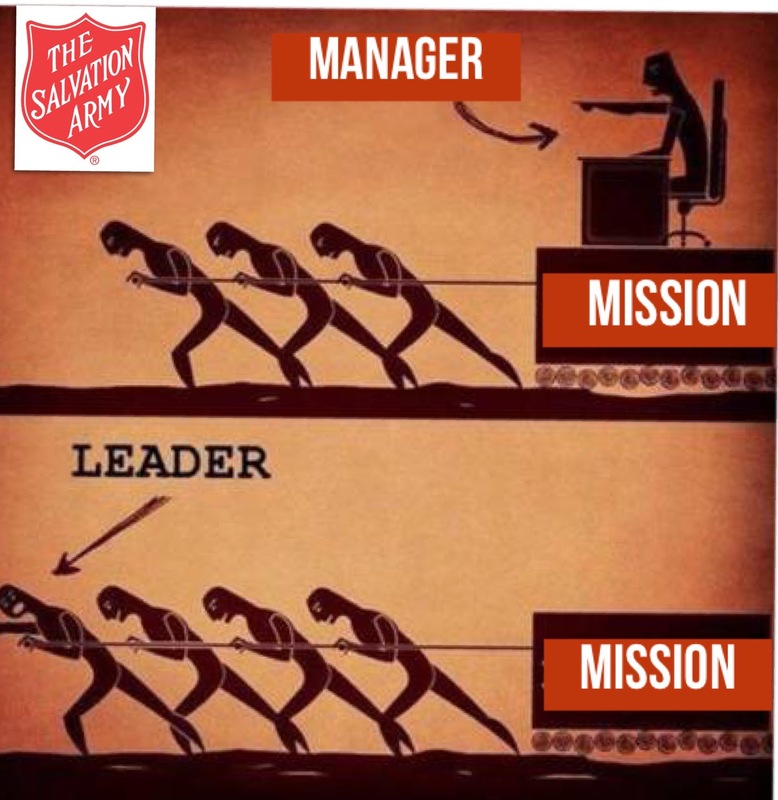 Dear Salvation Army, Are You A Manager Or A Leader? Dear Salvation Army, many of you have just come from the mountain top while at Boundless 2015. God is moving in our army is He not? He has also entrusted us with such a great responsibility within His kingdom here on earth! I feel compelled to write on this topic today for all of us. A lot of what I am about to write on today comes from my own struggles…but I’m willing to venture a guess that I am not alone. Do you remember the parable of of the talents (or minas)? The Master was going away for a while on a journey and so He entrusted his three servants with parts of his wealth to take care of while he’s gone. To one the master gave five talents, to another two, and the last servant was given one talent. Then the master goes on his long journey and these servants, whom he entrusted with his valuables, are on their own to be good stewards. This is a story about stewardship. This is also a story about faithfulness and boldness. Lastly, this is a story about Leaders and Managers. I would like to tackle the third topic today here on Pastorsponderings.org. Managers are those who “look after” things, but usually their intent is to preserve not increase. It is not in the manager’s “makeup” to invest or risk or to explore any kind of future vision. For a manager, the risk of failure is too great, and so investing in what has been entrusted to them is not possible. A manager keeps the status quo and does not upset the “apple cart” when change needs to take place. Leaders on the other hand, take calculated risks. They cast the vision for others to follow. Leaders are good stewards of the gospel, they recognize that this “investment/talent” is not static and was never meant to remain static. They go out and produce fruit for the kingdom. They invest in other people. Leaders set the pace for real tangible results that equate to success for the kingdom. It is more than just statistical “numbers” on Sundays. It is more than preserving the Women’s Ministry or the Men’s Ministry or whatever ministry…it is about developing disciples who will in turn make other disciples. The road to a Manager is relatively easy. They watch over. They order. They take care of “what is theirs” to take care of…but it is predictably easier than the road of a leader. The road of a leader is wrought with conflict. Conflicts about stumbling blocks and those who would oppose them. Conflicts about uncertainty and worry. 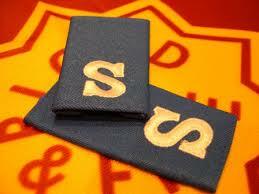 We were never called to be managers within this army of salvation!! We were not appointed in this army to bury the talents and to simply “hold on”. Sometimes this happens more often than not. Sometimes we fall into the trap of “holding down the fort” while we wait for someone else will do the hard work. We are not should not be managers of this Army. There should not be managers within our ranks. We cannot afford to simply preserve the accomplishments of yesterday while outside our walls in our communities people are still in need of food, of clothing and of the good news of Jesus Christ. This is a call to all the managers out there (including me from time to time)…STOP! Stop “holding down the fort”. Stop squandering the resources of your corps or offices. Stop wasting time by just sitting in your offices. Stop pawning your responsibilities off on someone else. Invest in the lives of those around you. Set the pace for a mighty moving of the Holy Spirit by ACTUALLY believing He will move in your corps! This Salvation Army is not static. I don’t want to be a manager…do you? Something more for this Army to ponder on today. Previous Post Previous post:Dear Salvation Army, 150 Years!!! I worked for many years at a Divisional Headquarters and was disappointed in how many officers were sent to be the leaders of our division who were not qualified or capable. Out of the 7 “Bosses” that I had 4 were not “Leaders”, not qualified for the job and/or not capable… meaning could not do the job. When you have a NON Leader in a position where a Leader is needed, the Officer then becomes Manger or Dictator. Too many times the employee is qualified but “the boss” is not, therefore, the boss manages the employees time rather than Leading. Or the boss dictates orders without understanding the job the employee is doing. Officers are Called to be Pastors, and many fulfill that calling. 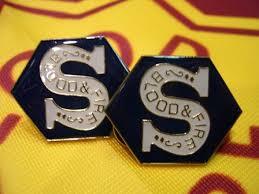 And some Officers are also GOOD business people, and should use those gifts at DHQ. Too many times, the officers at DHQ, possibly even THQ, are not business minded, are not Leaders, and are detrimental to what takes place at DHQ or THQ which IS a place of business to support the Corps ( which would be the Center for Worship and Service). I don’t know what training is given to the Cadets that would prepare them for Leadership roles. I don’t know if the Officers are interviewed regarding Leadership skills. But I do know that too many fall short of being a Leader in the Corps, Community, Centers, and Headquarters. I viewed happenings of ‘Boundless’ remotely. But like most mountaintop experiences, I too pray delegates return with fresh wind, igniting leader fires, and not lapse quickly to manager mode …… or less. I will say an officer’s role in our ever -complicated institutional culture makes management (just getting by) the path of least resistance. Easy to see how leadership becomes such a rare commodity.